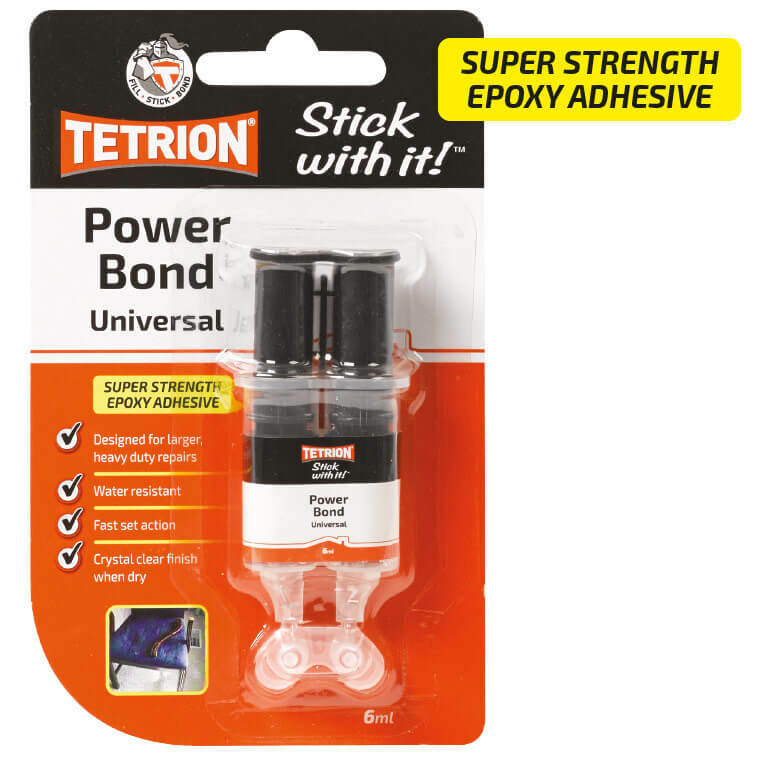 Tetrion Powerbond Universal is an all-purpose epoxy best suited for heavy duty repairs. The ability to withstand extreme heat as well as frost means it is ideal for use in both interior and exterior environments. The bond is chemical resistant and has a shear strength of 2000psi once fully cured. 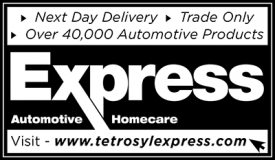 Capable of bonding many substrates including Masonry, Glass, Stone, and Wood. Syringe design ensures the perfect ratio of both substrates is released every time.